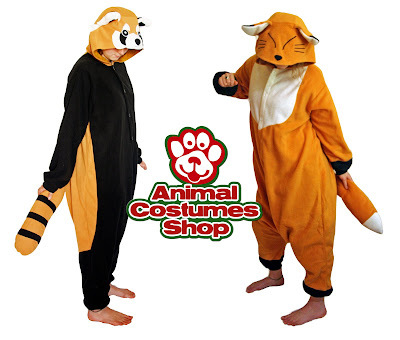 The Fox costume and the Red Panda costume made a long awaited comeback in our shop today, and it got us thinking that these are two of our favourite animals that we would like to tame and have as a pet. Which one would be best? The red panda has obvious assets (being the cutest animal on the planet with one of the furriest tails), but the fox may be less so. We think a fox would be a really cool pet. Smart and vicious enough to catch a mouse, but cuddly at the same time too (also with a good fluffy tail). A bit like all the best bits of a cat and a dog mish mashed together . Maybe? In fact, this archeological article suggests that foxes might once have been tamed and kept as pets by ancient man.